ParlowCigars.com | The World's Finest Hand Rolled Cigars! The World's Finest Hand Rolled Cigars! Eugenia Parlow has been involved in sales all of her life. She is as passionate about sales as she is about everything else. In the last few years she began to realize she wanted to work for herself, so she began to look for opportunities of owning her own business. Realizing from the many people she knew that smoked cigars, there was a gap in the availability and no personal service; she began to look into cigars as a business. Living in Florida she found a long and rich history of cigars in the Tampa Bay Area. With a desire to fill the gap and to bring personal service she, with the aid of her husband Wayne founded “Parlow Cigars”. Parlow Cigars is now where you can find the finest cigars made from 100% first generation Cuban seed grown in the Dominican Republic, which is the highest quality tobacco leaves grown. 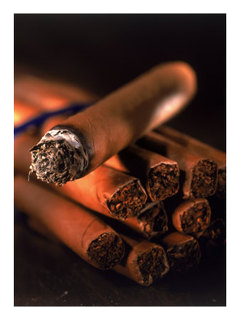 Our cigars are hand rolled in the same manner as many Cuban cigars. Eugenia is enjoying her passion for interacting with people as well as enjoying the dream of owning her own company. Check back with us soon to like us on facebook for a chance to win a sampler cigar pack and to learn of our exciting products and special events coming to an area near you. Copyright © Parlow Cigar\'s All Rights Reserved. Please Note: You must be 18 years of age to buy or smoke tobacco in some states, 21 in others!